Hot Weather Spells Trouble For Nuclear Power Plants In Europe Multiple nuclear power facilities in Europe have reduced their electricity production because seawater, which is used to keep the reactors cool, has been warmer than usual. The Loviisa nuclear power plant in Finland reduced its electricity output because of warmer seawater. Nuclear power plants in Europe have been forced to cut back electricity production because of warmer-than-usual seawater. Plants in Finland, Sweden and Germany have been affected by a heat wave that has broken records in Scandinavia and the British Isles and exacerbated deadly wildfires along the Mediterranean. Air temperatures have stubbornly lingered above 90 degrees in many parts of Sweden, Finland and Germany, and water temperatures are abnormally high — 75 degrees or higher in the usually temperate Baltic Sea. That's bad news for nuclear power plants, which rely on seawater to cool reactors. Finland's Loviisa power plant, located about 65 miles outside Helsinki, first slightly reduced its output on Wednesday. 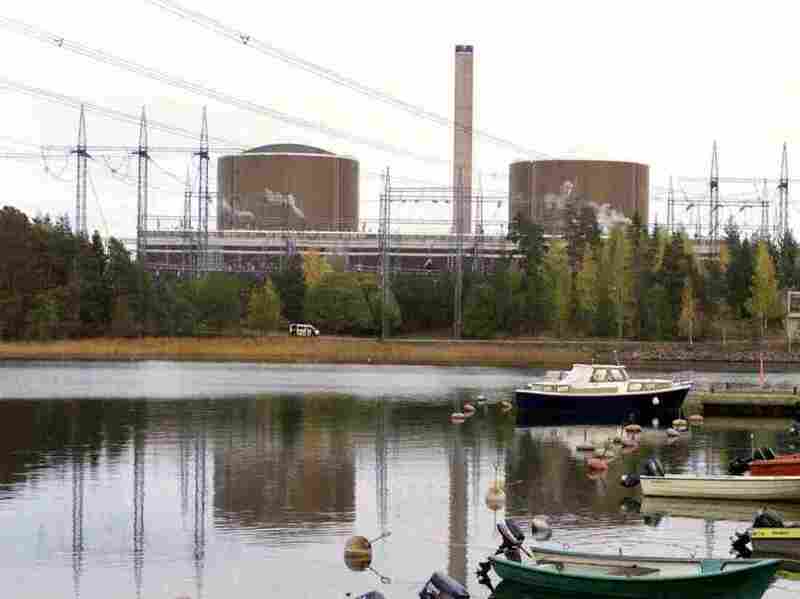 "The situation does not endanger people, [the] environment or the power plant," its operator, the energy company Fortum, wrote in a statement. The seawater has not cooled since then, and the plant continued to reduce its output on both Thursday and Friday, confirmed the plant's chief of operations, Timo Eurasto. "The weather forecast [means] it can continue at least a week. But hopefully not that long," he said. Eurasto says customers have not been affected by the relatively small reduction in output, because other power plants are satisfying electricity demand. The power plant produced about 10 percent of Finland's electricity last year. The company also cut production at the Loviisa facility in 2010 and 2011, also due to warm water, but Eurasto said this summer's heatwave has been more severe than previous ones. Nuclear power stations in Sweden and Germany have also reduced production because of cooling problems, Reuters reported. A spokesperson for Sweden's nuclear energy regulator told the wire service on Tuesday that the Forsmark nuclear power plant in Sweden had cut energy production "by a few percentage points." "...during times of extreme heat, nuclear power plants operate less efficiently and are dually under the stress of increased electricity demand from air conditioning use. When cooling systems cannot operate, power plants are forced to shut down or reduce output." It's not just warmer oceans that could spell trouble for nuclear power plants. Climate change is also producing more powerful storms and contributing to drought conditions, threatening facilities on coasts with wave and wind damage, and reducing the amount of water available to plants that cool their reactors with fresh water.